With the new Mobile SDK, app makers can check detailed analytics that better quantify when a user has a poor experience. When an app fails due to a networking problem, rather than being forced to reproduce things manually or hunt through logs that may or may not have been forwarded, developers can quickly and simply check to see what failed and how. Cloudflare claims the SDK is lightweight, privacy-minded, and easy to setup and use. It's cross-platform, available for both iOS and Android apps. Best of all, it's free. Interested developers can check out the Cloudflare Mobile SDK Product Page and developer docs for more information. San Francisco, CA, March 22, 2018 —​ ​Cloudflare, the leading Internet performance and security company, today announced the Cloudflare Mobile SDK, a free solution that enables any mobile app developer to understand network performance and metrics. Consumers are frustrated by mobile apps that are slow, crash, or deliver errors that degrade the experiences. For mobile app developers, a bad user experience means poor reviews, lower engagement, and reduced conversion on business metrics. Delivering consistent app performance requires focusing on every link in the chain: app code, network calls between the app and edge networks, and server infrastructure. There are a number of solutions that give developers analytics on their applications, but there has never been a way for app developers to understand how often their apps fail due to network errors. App developers easily integrate the Cloudflare Mobile SDK with their mobile apps to give them visibility into network performance and errors around the world. ● Disconnects that occur roaming from network-to-network (eg. from a cell network to home wifi). ● Packet loss due to poor signal. ● Congestion on the Internet between the cell tower and infrastructure. ● Lightweight:​ No impact on performance or device battery life. ● Actionable, Novel Data: ​Understand network performance in apps the same way developers analyze network calls in a browser. ● Minimal Dependencies: ​Anyone can use the Cloudflare Mobile SDK to collect data, even those not using any Cloudflare infrastructure. ● Private by Design​: Cloudflare will never collect persistent identifiers or sell your data to third parties. 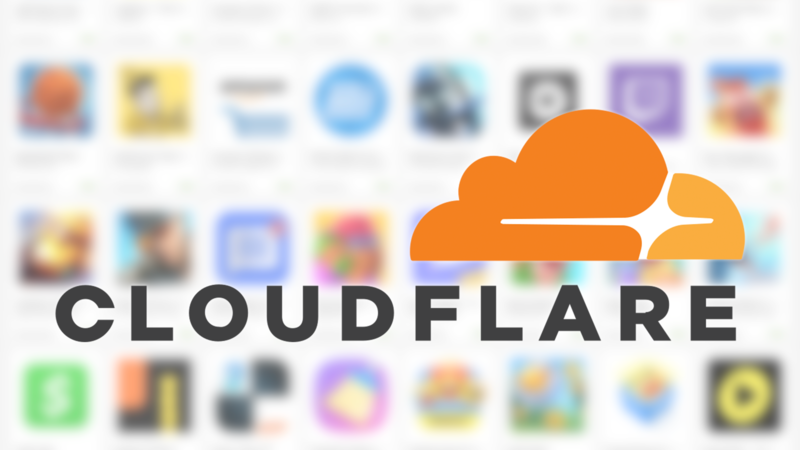 ● Easy Setup: ​Installing Cloudflare’s Mobile SDK is easy, only requiring developers to add a few lines of code to an iOS or Android application.